The U.S. Secret Service is walking back the blame for a funding crisis it initially placed on President Trump, saying it instead has resulted from ongoing issues dating back a decade. A provision of statute guiding Secret Service operations caps its agents’ annual salary at that of a General Schedule-15, step 10 employee. About 1,100 agents have already hit that cap with six weeks remaining in the fiscal year, Alles said. The director said he is working with the administration and Congress to lift the cap through the end of Trump’s term, but even that fix would not provide resolution to 130 employees who have already worked uncompensated overtime hours. 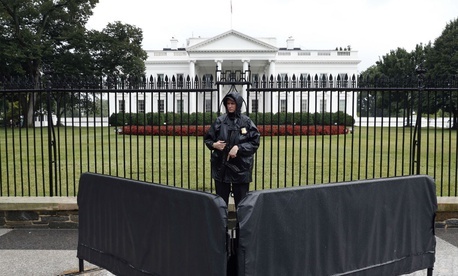 Secret Service ran into a similar issue last year, when the agency was stretched particularly thin due to the large presidential field requiring protection. Agents reported being shorted $30,000-$40,000 in overtime pay. Lawmakers eventually agreed to free up $22 million so the agency could provide back pay. Homeland Security Department Inspector General John Roth predicted in a congressional hearing last year the temporary solution would not provide long-term relief for the agency. He said that while the Secret Service has made some progress in instituting the recommendations made by both an independent review board and Congress, it could still fall victim to the “vicious cycle” of increased workloads leading to higher attrition rates and even more work for the remaining employees. Nathan Catura, president of the Federal Law Enforcement Officers Association, said some of his members at the Secret Service have said they are “jumping ship” to another agency where they can have a more normal schedule. Alles has boasted that his agency has slashed its hiring time from 15 months to four months, but still bemoaned conditions leading to poor morale and high attrition. He warned in June that low staffing levels would lead to a concerning work-life balance and employees running into their caps well before the end of the fiscal year. In his updated statement, Alles expressed optimism that DHS, the White House and Congress would once again find a solution for their current manpower shortage that ensure all employees are paid for their hours worked. Rep. Peter King, R-N.Y., introduced a bill earlier this year that would give agents who have met their caps credit for their extra hours worked by applying them toward their retirement pensions. Catura called on Congress to raise the cap, and said it should give the Secret Service director or DHS secretary authority to grant waivers each year as needed. Other agencies in addition to Secret Service have reached out to him about hitting the pay cap. Alles added the agency would continue its “rigorous hiring of special agents, Uniformed Division officers and critical support staff to meet future mission requirements.” In the meantime, he emphasized his agency would not fail to meet its mission. “The Secret Service has the funding it needs to meet all current mission requirements for the remainder of the fiscal year and compensate employees for overtime within statutory pay caps,” Alles said.